May 29, 2011 - It's Memorial Day weekend, which usually means a typical cookout of hamburgers, hot dogs and potato salad. When we were back in New England, everyone would anticipate the holiday weekend after hoping all week for good weather. However this year we're in California, so we decided to take it up a notch and let someone else do the cooking for us. 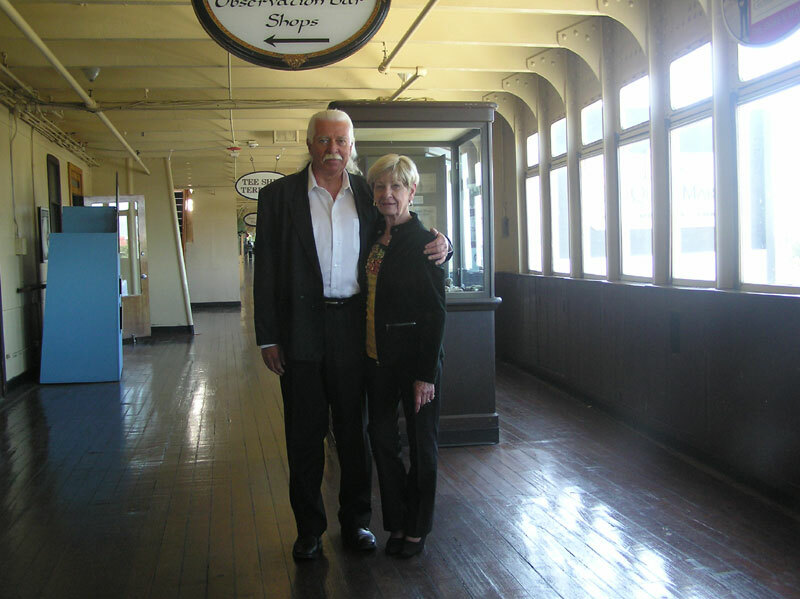 The result was: Champagne Brunch aboard the RMS Queen Mary in Long Beach, CA! 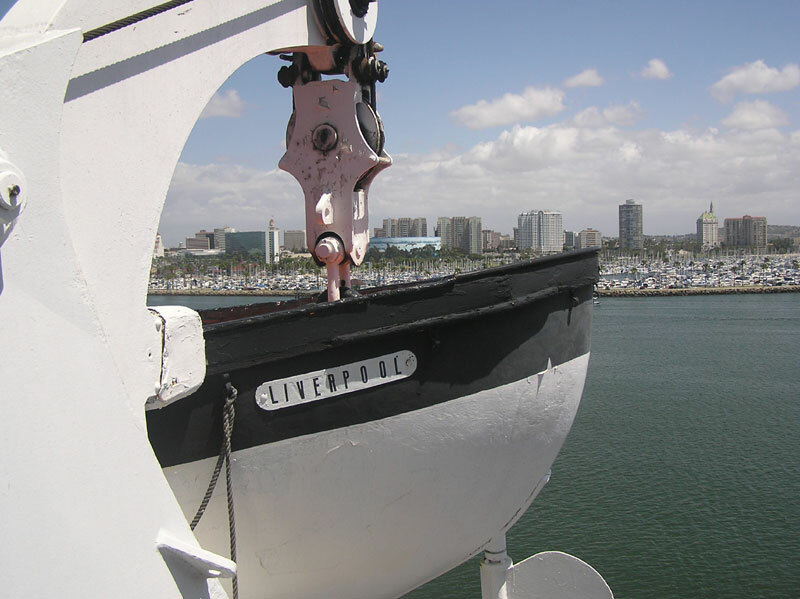 There were actually four ships called "Queen Mary," but the one in Long Beach was previously a Cunard Line (White Star) ocean liner that was launched in 1934. 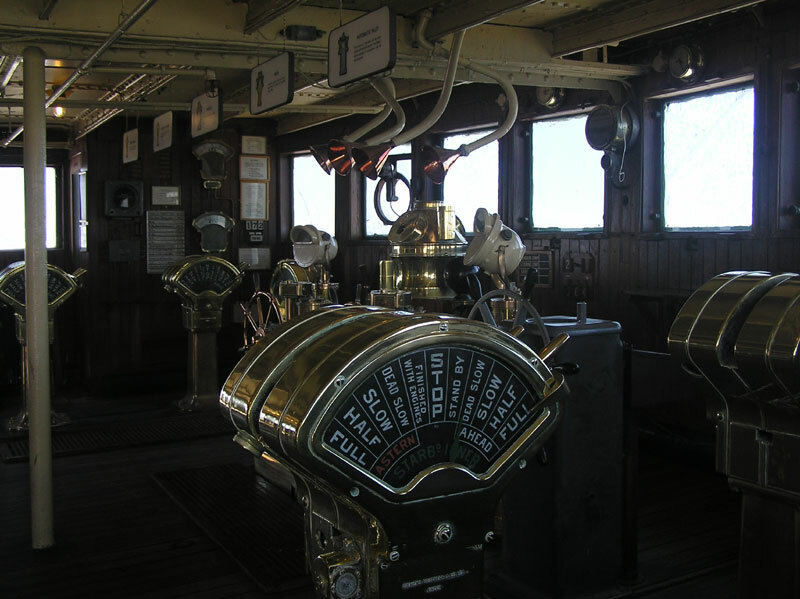 Its maiden voyage occurred on May 27, 1936 traveling from Southampton to New York. The Atlantic crossings took about four days at that time, so that maiden voyage occurred 75 years ago this weekend. It is over 1,000 feet long, could accommodate 2,139 passengers and was supported by a crew of 1,100. Its heyday was in the 1950's but the jet age eventually killed its business, so it was retired in 1967. 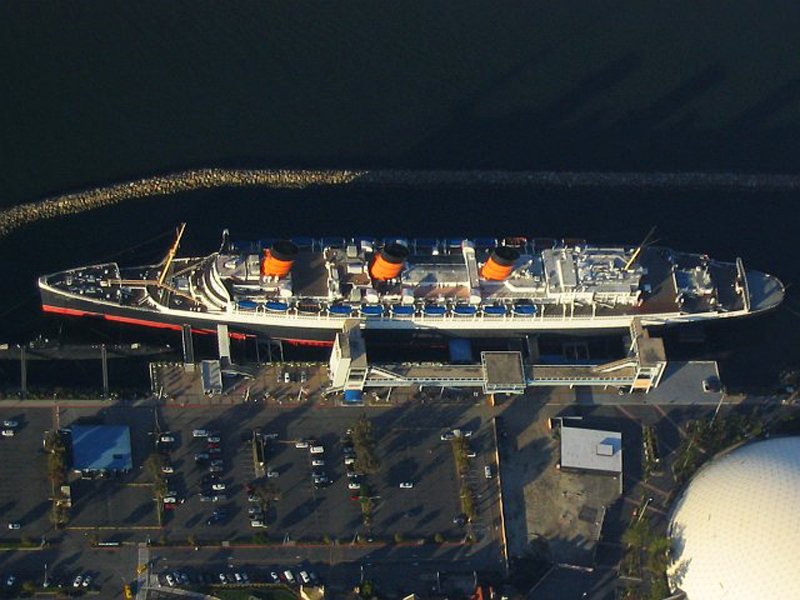 It arrived in Long Beach in 1968 and is now a tourist attraction with restaurants, a museum and a hotel. 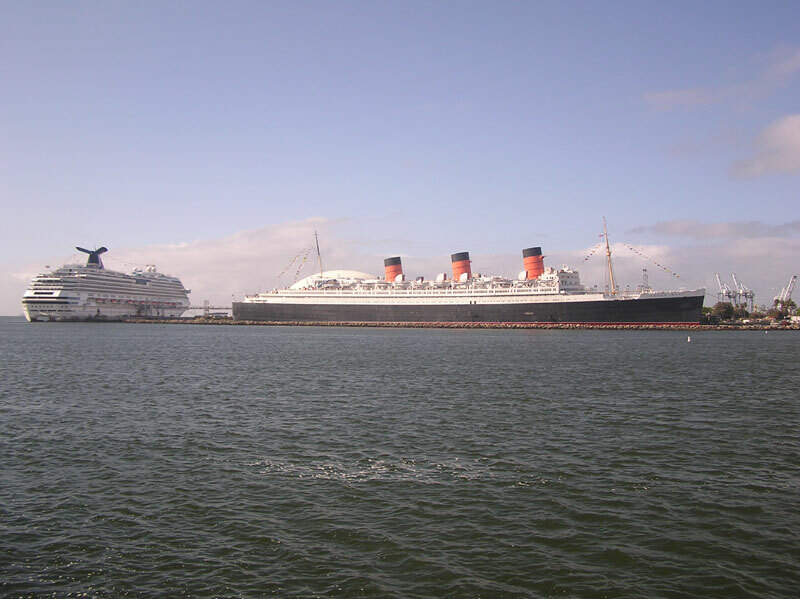 Ghosts were reported on board after the ship was permanently docked in California. Many areas are rumored to be haunted. Reports of hearing children crying in the nursery room, actually used as the third-class playroom, and a mysterious splash noise in the drained first-class swimming pool are cited. 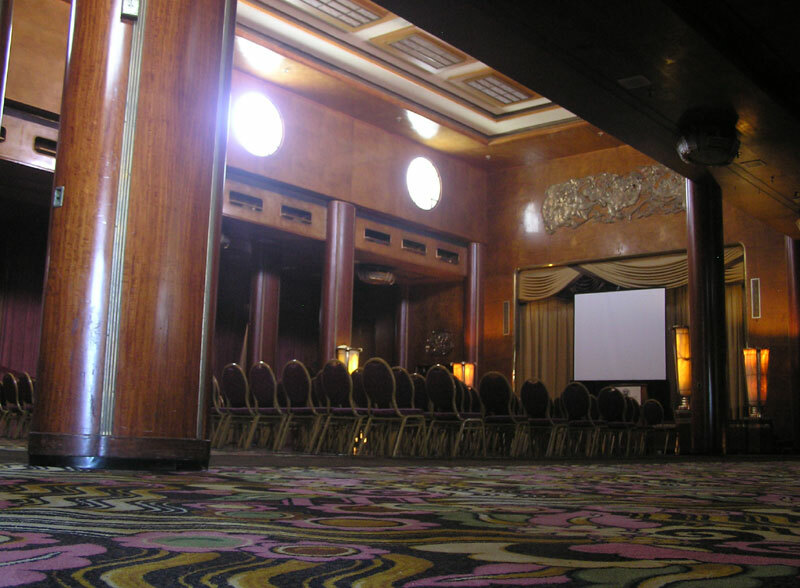 There is also said to be the spirit of a young girl named Jackie Korin who drowned in the second class pool and continues to haunt the first class pool room on board the ship. A young woman by the name of Sarah was said to have been murdered in the first class women's change rooms by an unknown man and haunts the first class pool with Jackie. Some visitors say they have seen women wearing early 1930s bathing suits in the pool areas. We didn't see any ghosts on our visit. 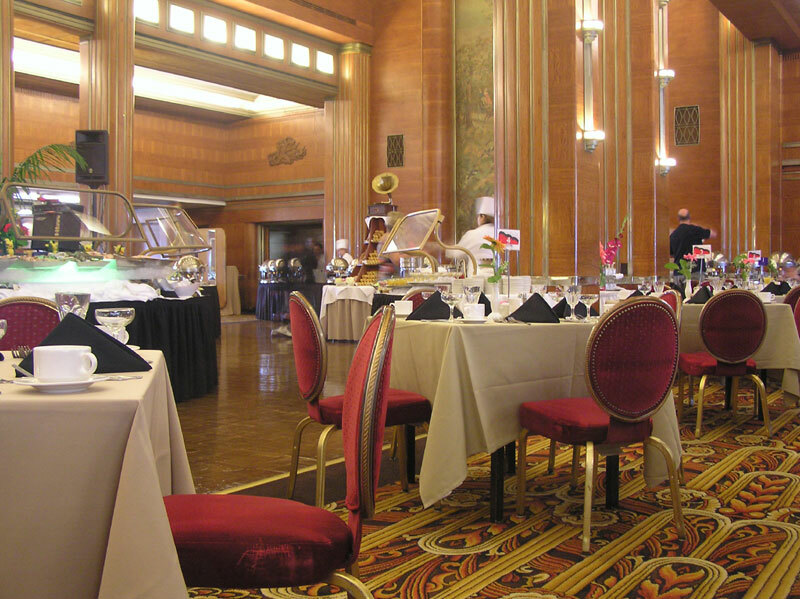 The brunch is served in the elegant Grand Salon, the ship's original First-Class Dining Room. The room is elegant and the food was first class. Some of our selections were oysters, eggs benedict, roast beef, hash brown potatoes, crab claws, crêpes, marzipan and crème caramel. Two guitarists serenaded the diners. After the brunch, we strolled the ship. 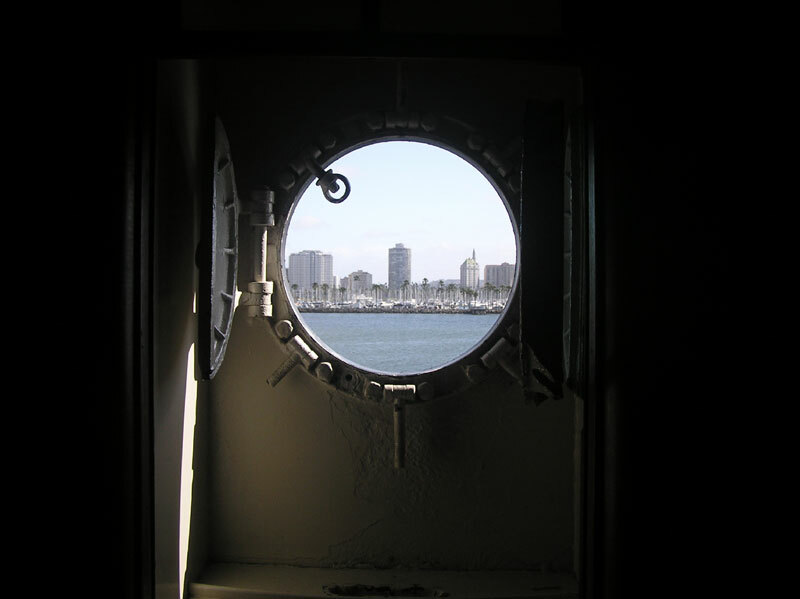 Part of the Long Beach skyline seen through a porthole. 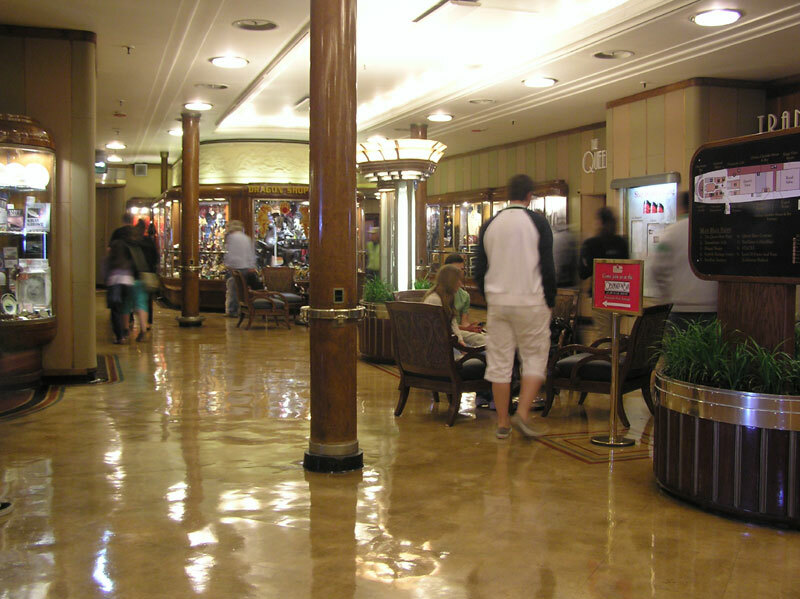 The shops on the Promenade Deck. This is the Queen's Salon, also on the Promenade Deck, one of the many salons on board. 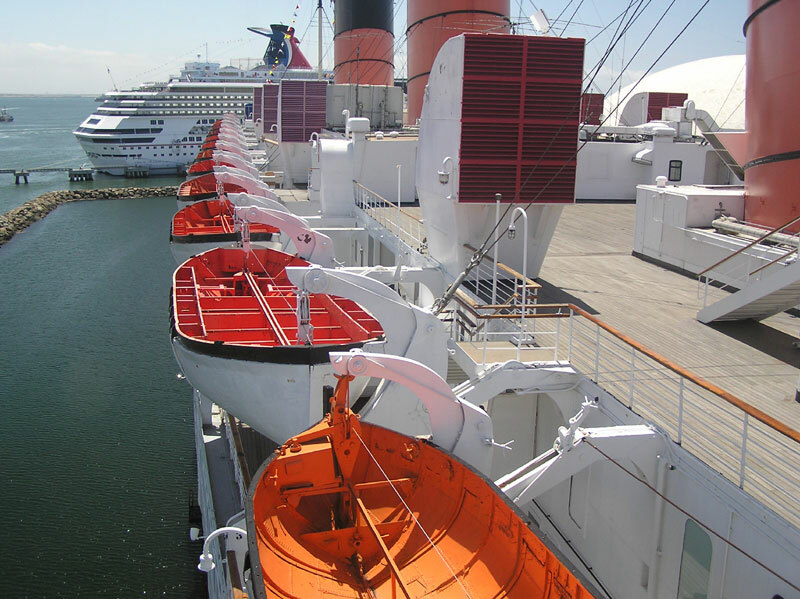 The string of lifeboats on the starboard side. It was a great adventure, a lot of fun and great food!